Built in 1971, architect Pier Luigi Nervi designed Scope Arena and to this day the venue remains the world’s largest reinforced thin-shell concrete dome. 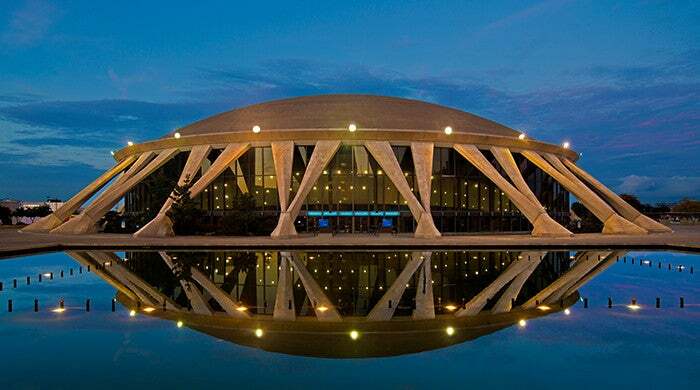 The venue’s concrete monolithic dome and twenty-four flying buttresses make it a popular, eye-catching and iconic landmark in downtown Norfolk. 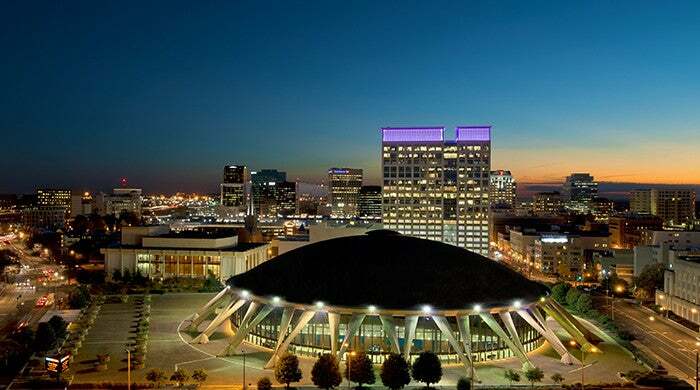 Scope Arena is the host to a wide variety of events and is currently home to the Norfolk Admirals hockey team, the MEAC Basketball Tournament, conventions, concerts, family shows and much more! Scope consists of a flexible main arena, modular exhibit halls and meeting rooms that can accommodate both small and large groups for private meetings, exhibits or conventions. Scope has an exclusive in-house caterer, Spectra Food Services & Hospitality, who runs Showcase Restaurant and will help with any catered event. Contact Spectra Food Services & Hospitality at (757) 605-0208 for Showcase Restaurant reservations and information. Scope Arena’s Exhibition Halls are the perfect setting for your large event. With room for up to 3,850 seated guests, the modular Exhibition Halls are ideal for reunions, high school prom, alumni gatherings, or any major occasion. Scope Arena is also is home to four meetings rooms; great for off-site business meetings, luncheons, training sessions or birthday parties on event days. Book one of our meeting rooms today to make your next event memorable for all involved.